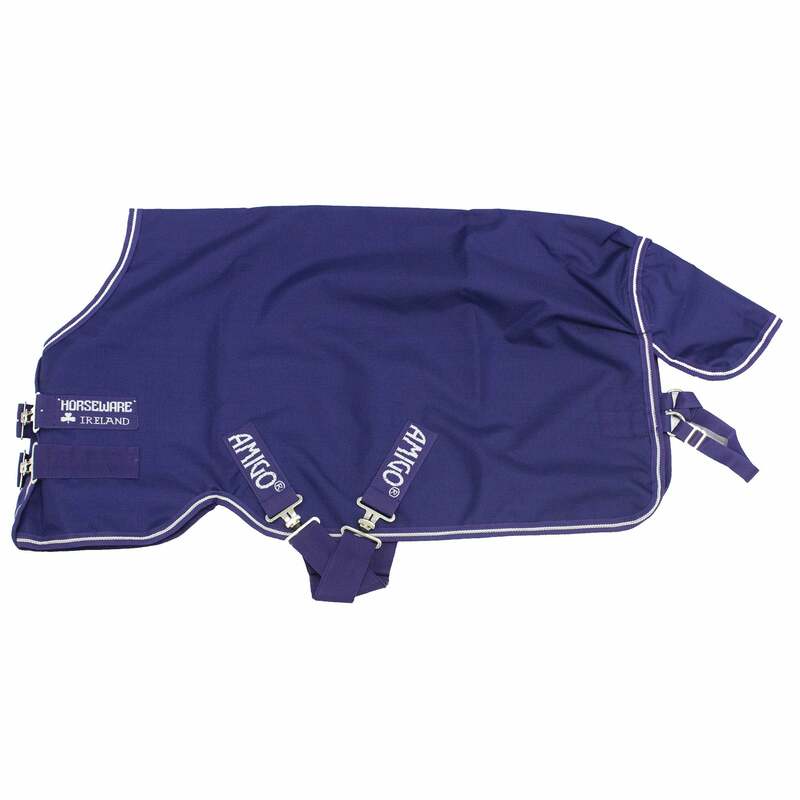 The Amigo Hero ACY Lite Turnout Rug is a lightweight turnout with no fill made from ACY - Air Conditioned Yarn, a major improvement in yarn technology. The process involves the fabric being air blown through the fabric which gives a tighter weave using less yarn resulting in an incredibly durable, breathable and lightweight rug. The tighter weave improve the rugs ability to withstand damage while the texture allows a higher adhesion of waterproof outer coating, making the rug waterproof through more washes. The Hero ACY lite turnout is classic cut with front leg arches; cross surcingles and has a shine enhancing polyester lining.